The Faroe Islands' rugged archipelago is plied by inter-insular causeways and bridges while travel in its interior is made possible by plunging road tunnels. Once cut off villages are now very reachable. Of course, between stunning vistas and playful wildlife, coastal roads past craggy cliffs and turf-covered houses are especially rewarding. Drives will often start out of Torshavn, the compact Faroese capital where a delightful old town and harbour is framed by grassy headlands. From here, take the coastal route to the archipelago’s westernmost point, the jumping off point of Mykines. Known as the Bird Island, it’s one of the best places to spot colourful puffins and greedy gannets. You can also make the drive to Vestmanna, 45 minutes north of Torshavn. Here, 200 metre high cliffs are the summer nesting grounds to whole flocks of birds, making for an incredibly bustling scene that’s a delight to the uninitiated and the ornithologist alike. If you have more time, consider exploring a little further with a left-to-right trip across the islands. 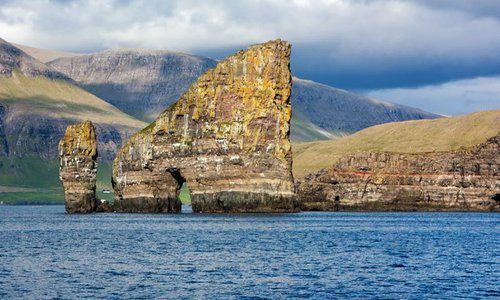 Start in the west with Vágar where pretty villages add a touch of character to grand moorlands before taking the under-sea tunnel to Streymoy for the Vestmanna bird cliffs. 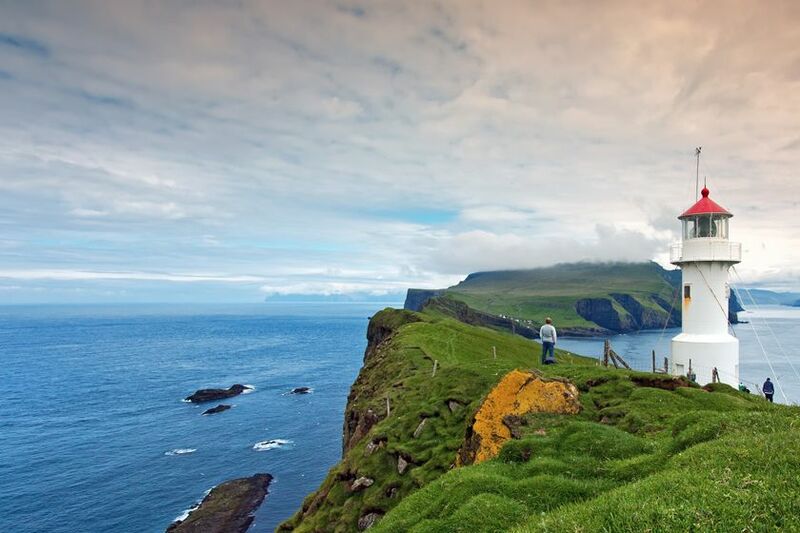 On your next island hop, an Atlantic Ocean bridge will take you to Eysturoy where heather covered hillsides and fog-ringed mountains make for postcard-worthy walks. Then, take yourself via a causeway road to the Northern Islands, a six-piece jigsaw of dramatic, volcano-forged scenery before swapping compass points for Sandoy whose ice-smoothed greenery is much more relaxed, even featuring a sandy beach. Here, you’ll find the ruins of cathedrals and churches, dating as far back as the 12th century.